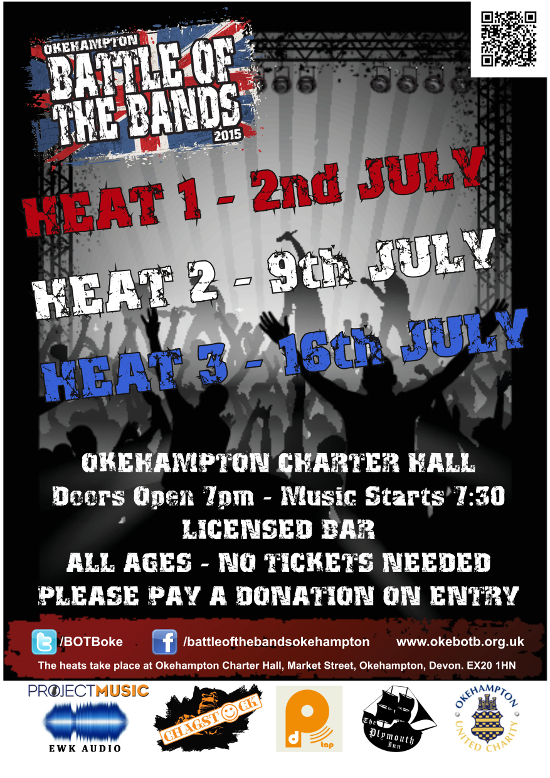 The first round of the 2015 Okehampton Battle of the Bands is just around the corner. Please feel free to spread the word, share or even put up a poster. 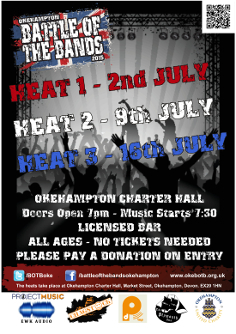 The heats take place at The Charter Hall, Okehampton (EX20 1HN). Doors open at 7pm, music starts at 7:30pm. There's no need to purchase tickets, but we would appreciate a donation on the door. Download a PDF for printing.